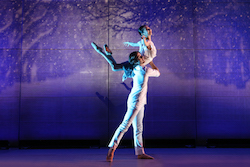 Brooklyn Ballet's 'The Brooklyn Nutcracker'. Photo by Julie Lemberger. Brooklyn Ballet’s ‘The Brooklyn Nutcracker’. Photo by Julie Lemberger. 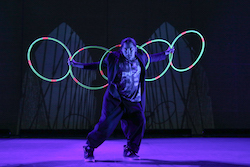 Technology is further incorporated into the show through motion-activated lights on some of the costumes. Parkerson explains, ‘The Snow costumes are built this way. When the dancers stop moving, the lights drift out in a snowfall pattern. Drosselmyer has a shirt that lights up during his pop and lock movement. This allows people to see what he’s doing even from far away and allows for a much bigger feel to what he is doing. The Flowers have fiber optic tutus. When the lights go down, you really see the strands of colored fiber on their costumes.” These technological details seem integral to the interpretation of the ballet by adding another visual layer to this very modern re-visioning of a classic story. The Brooklyn Nutcracker casting is also representative of Brooklyn, in large part thanks to its company’s diversity and new talent being regularly added through its school programs. 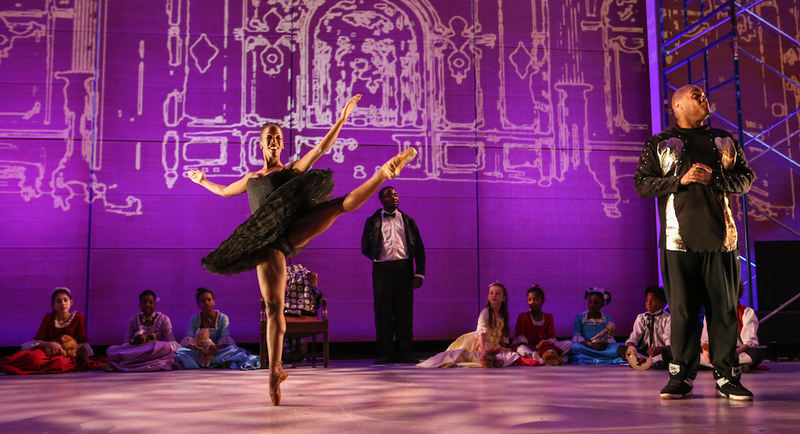 Catherine Green, director of Elevate, the program dance residency program through which public school students receive six to eight weeks of hands-on ballet training shares in a video that the Brooklyn Ballet achieves “excellence through inclusion”. She elaborates that this is “historically a radical idea in ballet”. Parkerson adds that pricing prevents many potential dancers from training. “There are programs you can pay for, but it’s very expensive. Ballet schools are very expensive now. Many people cannot even consider it. Our prices are 50-75 percent less than major ballet academies. We’re trying to give people an experience of ballet and dance. There is the example of the professional at our studio. 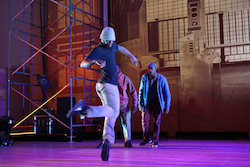 Many of our dancers are ex-Dance Theatre of Harlem company members. From the very moment I started the company, I wanted the company to look like the borough. There’s no dearth of dancers in New York at this time. There are some fantastically trained dancers that should be seen more”. She adds that the Brooklyn Ballet is able to provide them that exposure. For tickets and more information on The Brooklyn Nutcracker, which runs December 7-16, visit brooklynballet.org/performances/2017/brooklyn-nutcracker.